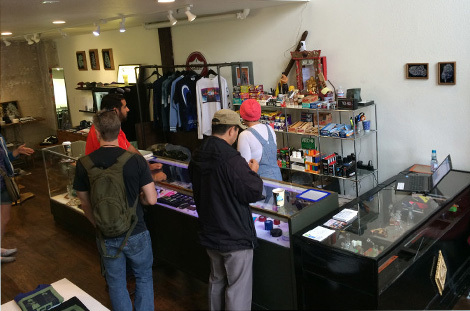 Trichome, a Seattle "cannabis lifestyle shop," is where coffee and weed dreams come true. For the event, Trichome barista David Craig brewed Batdorf & Bronson pour-over coffee, then blended in butter, oil, and cannabis with a handheld stirrer. Although the THC’s effects were very much present, the cannabis flavor was absent from the drink. We can’t decide if this or cold brew made with whiskey—instead of water—is more genius.